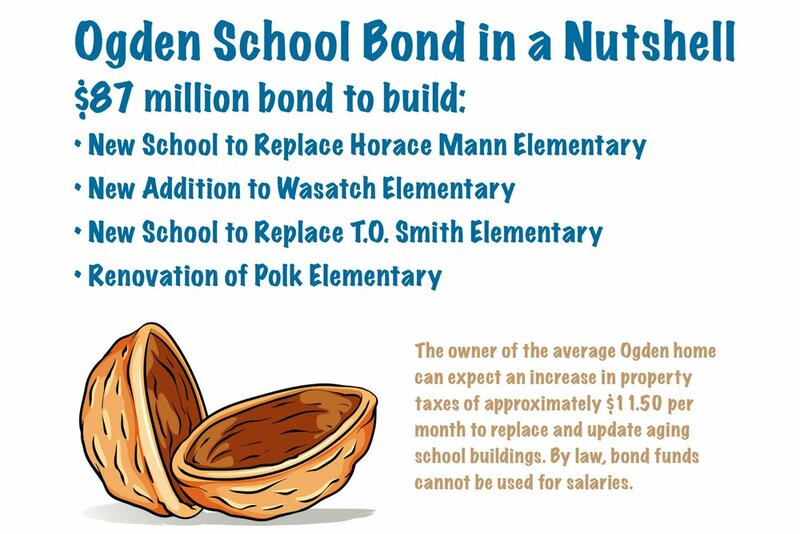 Following a several-month process of receiving input from the public regarding school building needs and related community values, the Ogden School District Board of Education voted to place an $87 million general obligation bond proposition on the November 6 ballot. Ogden community members identified the following as the most important priorities to include in a successful bond proposal: • Opportunities for safer learning environments with enhanced technology. 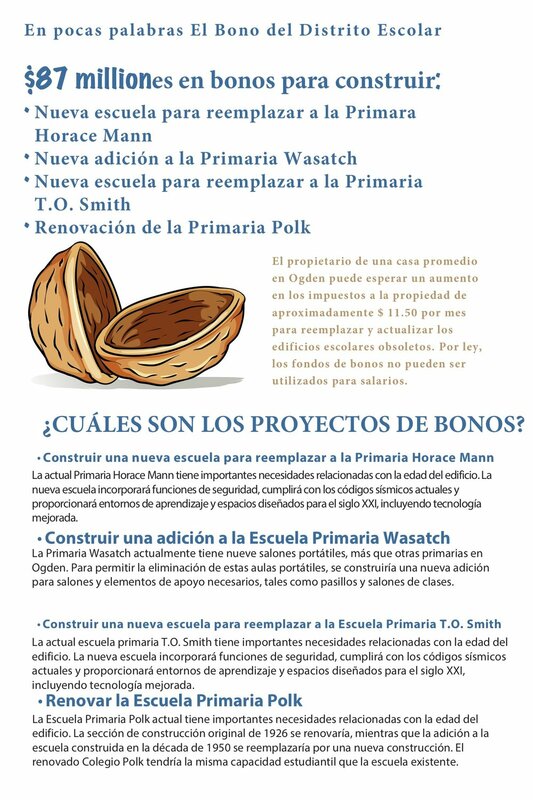 • Individualizing solutions for specific school communities. The Board of Education has identified a bond as the most cost-effective method of financing school construction and renovation to meet safety and educational needs resulting from the age of existing school buildings. What is a school bond? Bond funds are for the construction of new buildings and the renovation and refurbishment of existing school facilities. General obligation bonds carry the lowest possible interest rate resulting in the lowest cost to taxpayers. Approval by the public is required before the District issues general obligation bonds. State law mandates that bond funds cannot be used for salaries. WHY DO we NEED THIS BOND? Eight of Ogden’s elementary schools were built in the 1950’s or earlier. Even with constant maintenance, these buildings do not fully meet current needs in the areas of safety and learning. WHat are the bond projects? The current Horace Mann Elementary has significant needs related to the age of the building. The new school would incorporate security features, meet current seismic codes, and provide learning environments and spaces designed for the 21st century, including enhanced technology. Wasatch Elementary currently has nine portable classrooms, the most of any elementary school in Ogden. To allow the removal of these portable classrooms, a new classroom addition would be constructed containing classrooms and necessary support elements such as corridors and restrooms. The current TO Smith Elementary has significant needs related to the age of the building. 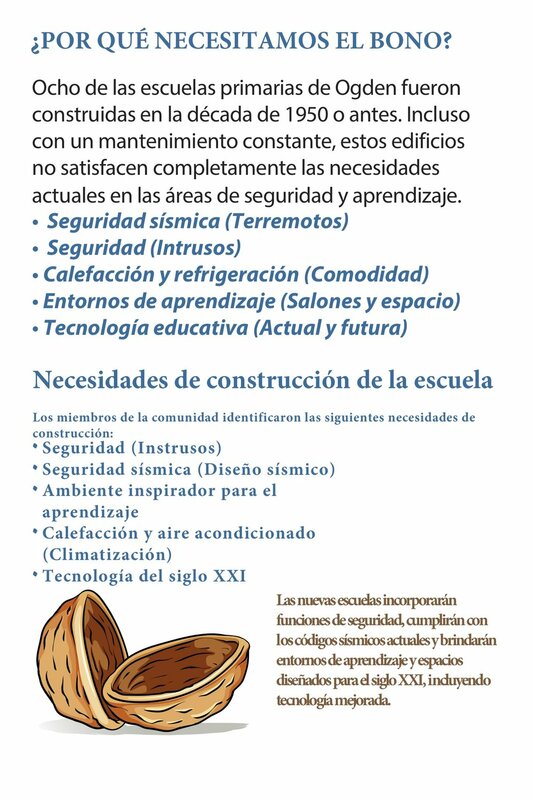 The new school would incorporate security features, meet current seismic codes, and provide learning environments and spaces designed for the 21st century, including enhanced technology. The current Polk Elementary has significant needs related to the age of the building. The original 1926 building section of Polk Elementary would be renovated, while the addition to the school constructed in the 1950s would be replaced with new construction. what is the tax impact? In August, the Board of Education chose not to impose a proposed tax increase. 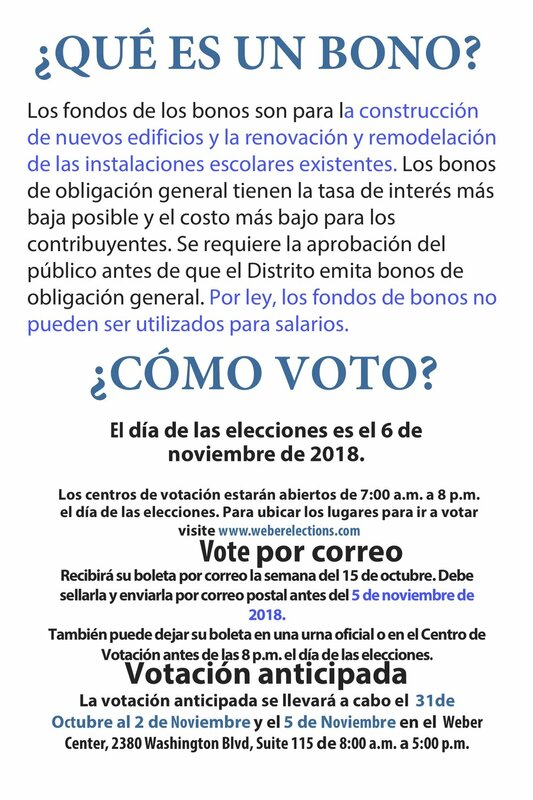 The Board of Education is appealing to voters through the bond proposal to meet the building and construction needs resulting from aging schools. 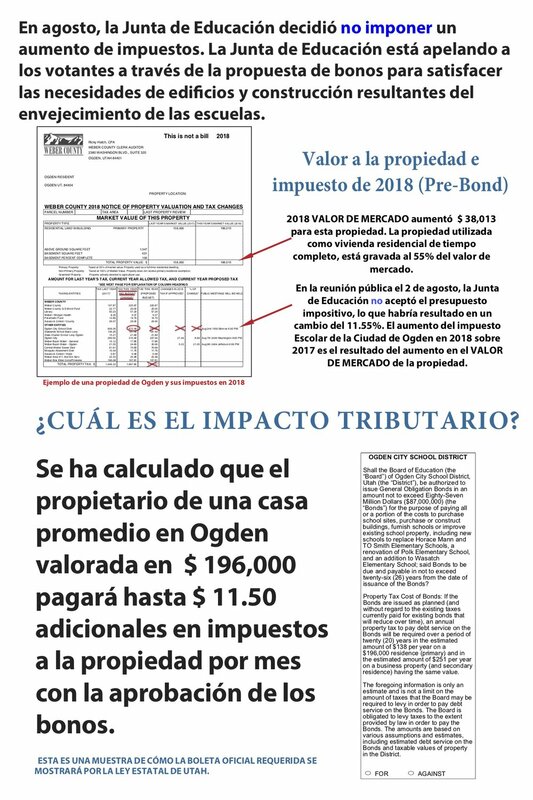 It has been calculated the owner of the average home in Ogden valued at $196,000 will pay up to $11.50 additional in property taxes per month with bond approval.